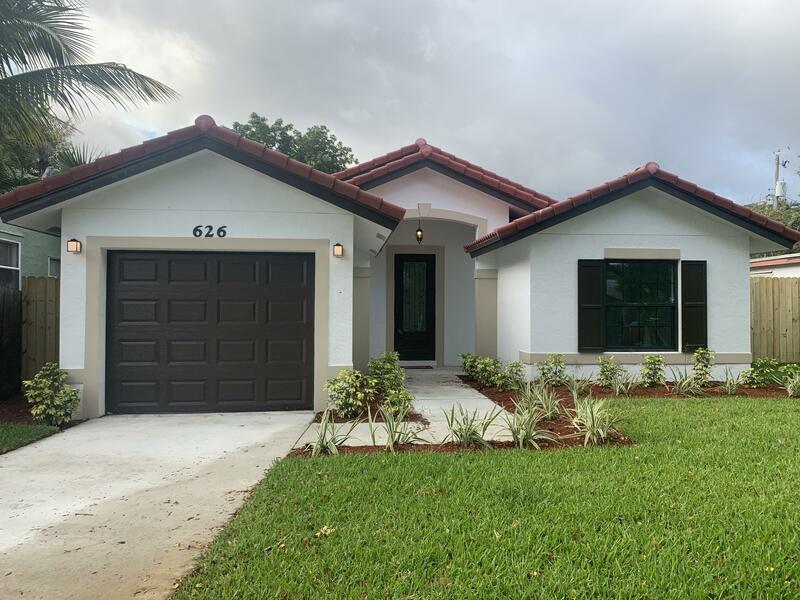 All FOREST RIDGE PARK homes currently listed for sale in West Palm Beach as of 04/21/2019 are shown below. You can change the search criteria at any time by pressing the 'Change Search' button below. "BRAND NEW HOME IN SOUGHT AFTER DOWNTOWN WEST PALM BEACH! Large 3 bedroom, 2 bathroom, 1 car garage! OPEN FLOOR PLAN. Custom kitchen cabinetry with solid wood cabinets, Tiled flooring throughout entire home. Imagine living in a BRAND NEW home just 4 blocks to the waterway! No detail has been spared as builder has used top of the line finishes. The roof is barrel tiles and has complete hurricane impact windows and doors! Home also includes one year warranty! This builder is well known in the area and takes great pride in his homes and will deliver a pristine home! Use our preferred lender & get a 1k lender credit at closing!" "Fantastic 1940's 4 bedroom 2 bath single family home designed by an international designer. Amazing location in famed South of Southern 33405 zip code. Gorgeous landscaping for privacy in front yard and rear yard areas. One of the tenants just moved out used to pay $1650 per month (which is market value) and the other tenant living efficiency pays $850 a month. This property is the perfect vacation home or year round residence in best school district. House is laid out for potential of private rear bedroom living area with private additional patio and parking." 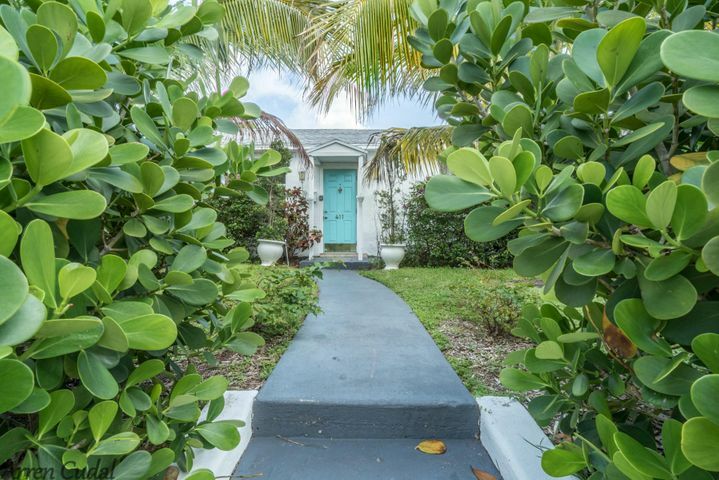 "2/1 MAIN HOUSE WITH A 1BR COTTAGE WITH A SEPARATE ELECTRIC METER - WONDERFUL OPPORTUNITY TO BUY IN THIS FABULOUS NEIGHBOR WITH TREE LINED STREETS, GREAT TO WALK YOUR DOGS AND STROLL YOUR CHILDREN AND A SHORT WALK TO RESTAURANTS . 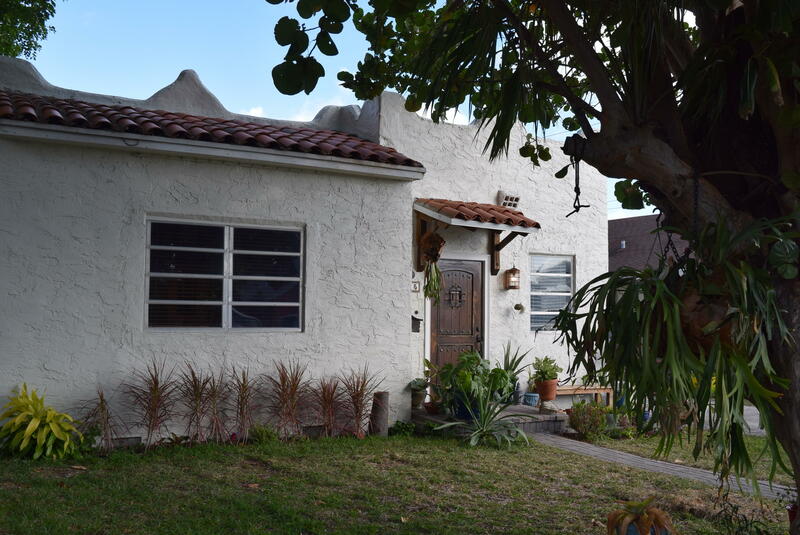 A 1928 SPANISH HOME 9 FT CEILINGS, WITH ORIGINAL HARDWOOD FLOORS AND FIREPLACE. OPEN FLOOR PLAN IN LIVING ROOM AND DINING AREA WITH EAT IN KITCHEN WITH CONCRETE COUNTERS, STAINLESS STEEL APPLIANCES . COME MAKE THIS YOUR PERFECT HOME!SELLER WILL GIVE $1,000 CREDIT FOR PAINTING INTERIOR OF MAIN HOUSE."